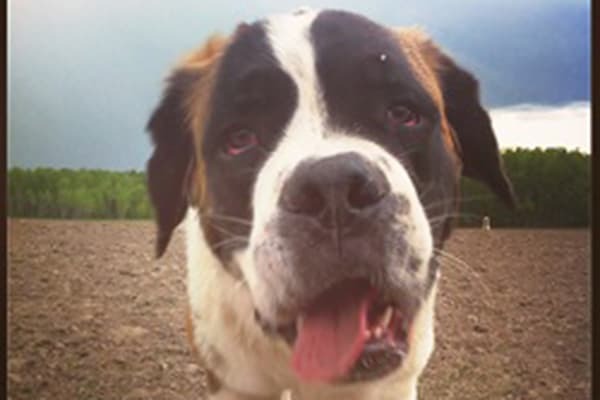 Meet Miss Clara – an adorable 8 month old St Bernard who came to us after being abandoned. Clara was diagnosed with hip dysplasia shortly after her arrival. Originally it was thought that Clara would need surgery but lucky Clara’s hips were not as bad as once thought. She won’t need surgery!! For Clara’s long term care she will have to be kept thin so prevent any unnecessary weight on her joints. She will need glucosamine and OMEGA 3s in her diet to help promote joint health. Now she just needs to be spayed and then she will be ready for adoption! YAY CLARA!! Update: Clara has been adopted by her foster home! They completely fell in love with this wonderful girl!